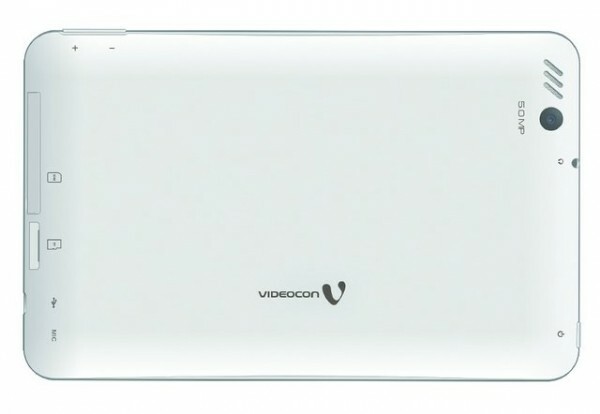 Videocon has officially introduced yet another 7-inch tablet with voice calling support, the VT85C. The Videocon-VT85C comes with 1.2GHz quad core Cortex-A9 CPU paired with 1GB DDR3 ram and runs on Android 4.2 Jelly Bean operating system. 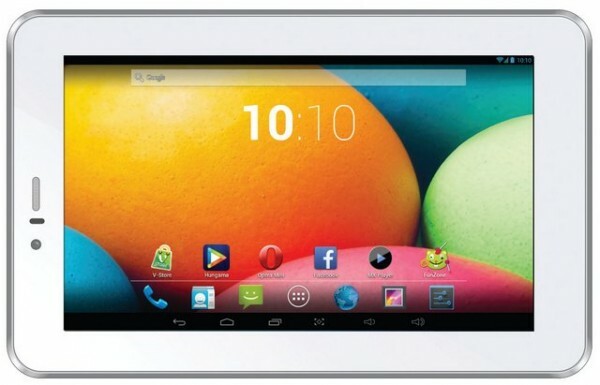 The tablet might have proximity sensor and it comes in White Color. The pricing of the tablets is not announced yet. The VT 85c has 17.8cm / 7inch capacitive touch screen display, that offers 1024 x 600p resolution. It measures 192.1 x 121.1 x 10mm and packs with 3000mAh battery, which would not be enough for heavy users. Although is has 5.0-megapixel Primary camera and a 0.3MP front webcam. This is a Single Sim tablets with 3G network support, instead of Dual-SIM. Finally or initially its not just a TAB but also a phone, which allows you to make voice and video calls. It features WiFi, Bluetooth, GPS + A-GPS and has 4GB of internal storage.